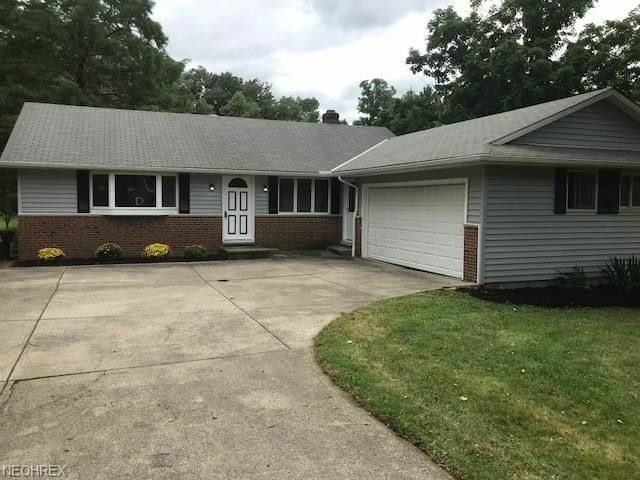 Welcome Home To This Completely Renovated North Royalton 3 Bedroom Split Level! Wood Beamed Vaulted Ceiling In The Main Dining Room Flows Into Main Living Area With A Beautiful Bay Window! All Bedrooms Are Up And Have All Been Freshly Painted With New Hardware And Marble Window Sills. Carpet Was Just Installed! Newer Windows! Kitchen Is All Brand New With Granite Countertops And Stainless Steel Appliances Right Out Of The Box! Hickory LVT Floors Flow Through The Main Level. Bathrooms Are All Finished With New Tile, Toilets, Vanity With Brand New Fancy Fixtures! Efficient Furnace, A/C & H2O Tank All Installed In 2018! New Breaker Box! Lower Level Is Finished And Has A Walk Out To The Back Patio And Spacious Back Yard! Many Options Here! This House Is Move In Ready Now! Directions: Off Bennett-Adjacent To York Rd.